Through Big "I" Markets you have access to the same great flood products available to Chubb homeowner and condo/cooperative ("condo") policyholders. Offering higher limits and broader coverage options than what is available from the National Flood Insurance Program (NFIP), they come with the same exceptional Chubb claim service your clients have come to expect. Higher limits for high-value homes: Up to $15 million in total property coverage. Replacement cost for damaged property and possessions: In many cases, standard flood policies won't cover the full cost to repair or rebuild the home after a flood. Chubb will pay to replace your clients' property and possessions (up to the policy limit), without deduction for depreciation, in the event of a covered loss. Rebuilding to code: Coverage up to $30,000 is included for costs to comply with any law or ordinance requiring that your clients repair, rebuild, elevate, flood-proof or demolish your home after a covered loss. Higher limits are available for an additional premium. Better coverage where floods are likely to cause the most damage: If your client has a finished basement that serves as a home theater, billiard room, or other purpose, Chubb offers added protection for "real property" as well as contents in this damage-prone section of the home. More coverage for precious possessions: Chubb offers higher-than-average limits for special possessions such as art, collectibles, jewelry and silverware, furs and even golf carts - $5,000 for each category. Coverage if your client must live away from home due to flooding: Additional Living Expense coverage up to $7,500 pays for a temporary residence, meals, and other expenses if your client's home can't be lived in during rebuilding or repairs after a covered flood loss. Higher limits are available for an additional premium - refer to the table below for more information. Loss avoidance measures: Coverage up to $5,000 is included for expenses to help protect the home from flood damage and to move property out of harm's way when a flood warning is issued. Related coverages: Coverage for debris removal, condo or homeowner association loss assessments and business property is also included. More deductible options: Chubb offers deductibles ranging from $500 - $50,000. *Contents in Basement coverage is not available if Contents coverage is not selected. Not to exceed total amount of flood coverage for contents. **Real Property in Basement coverage is not available for a condo if Additions & Alterations coverage is not selected. 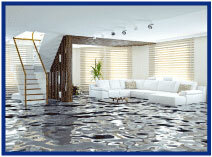 Not to exceed the total flood coverage for the building, or if a condo, combined contents and A&A coverage. *** Additional Living Expenses overage is only available for House and Condo/Co-op policies and is not available for Other Permanent Structure ("OPS") policies. The world-renowned Chubb claims team will adjust all flood losses, which means that one of our claim professionals will make initial contact with your client within six hours or less (once the claim has been reported) and most covered claims will be paid within 48 hours of settlement. The Chubb Masterpiece Program is available to registered members in all states except auto in HI, KY, MA, NC, SC and VA as those are being placed in the legacy - ACE system. Additionally, NJ auto and NC home business are being written in the Chubb Non - Masterpiece environment. Learn more by logging into www.bigimarkets.com and clicking on "Affluent Program - New Business." Interest rates are rising again. In June, the Federal Reserve made its fourth upward adjustment in 18 months. The Fed's recent tightening brings to a close a remarkable chapter in our monetary history. In December 2008, the prime rate fell to a near-record low of 3.25 percent and remained unchanged for seven straight years. Not since 1955 had rates been that low, and not for that long a period of time. As a consequence, many younger agency managers have never lived through a rising rate environment and may not fully appreciate the impact of higher rates on borrowing costs, cash management and agency values. While most economists expect the Fed's rate hikes to be gradual, it's important to understand that because we have had low interest rates for so long, even relatively small increases will have a big impact on the cost of capital. 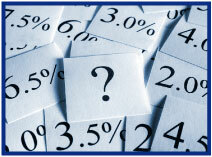 The historical average for the prime rate is 7 percent. As we move back towards that mean, borrowing costs will increase significantly - in fact, double. Agencies need to be prepared and take steps to better manage their capital needs. Learn more about Insurbanc, the bank founded by and for independent agents, at www.insurbanc.com. Vessel owners should be experienced in similar size/type vessels. 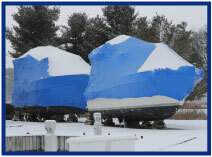 Refer first time boat owners or those making a jump of 10' or more. Elite Yacht® Program (70' or larger and valued at $3 million or greater, having a full-time paid captain) The Elite Yacht® Program is Chubb's exclusive program to fulfill the specialty insurance needs of luxury yacht owners with vessels valued at $3 million or greater. Exceptional yachts require specialized insurance protection and the Elite Yacht Program provides significantly increased benefit levels for a broad range of coverage, along with many other valuable and unique policy features. Log into www.bigimarkets.com for full details. Make fast and head over to www.bigimarkets.com to choose any of these products from the personal products menu, review full coverage details, or submit a quote. Please note that the four Marine Insurance products are now consolidated under a single product on Big "I" Markets named Recreational Marine. There will be absolutely no changes to carrier, coverage, or availability. Congratulations to our agent in Alabama on an Eagle Express sale of $3,614 in premium!